ðŸ–�Raised in the Atlanta area, Craig first recognized his creative drive via crayons on his parents' walls, like many inspired young artists, and by the age of 7 his capacity for detailed visual interpretation became undeniable. After excelling in an introductory drawing class in school, Craig continued to develop technically and conceptually through his own diligent studies while always planning to pursue a formal art education. He learned how to frame art while working in a small frame shop part time while he was a student and a few months later his coworker pointed him in the direction of Deljou in Atlanta. He was hired and remained in framing for 4 years after pioneering the department's establishment before he realigned with his passion of art and joined the league of other artists in the art studio. Craig Alan is most well-known for his Populus series, which drew inspiration from a balcony overlooking Orange Beach, Alabama where patrons enjoying a wedding party seemed to form the shape of an eye where they stood. Craig explains, "Inspiration begins with a 'What if...' as I consider alternate imagery, surfaces, effects, results, etc. It comes from the past in conjunction with now. Like a bolt of lightning." 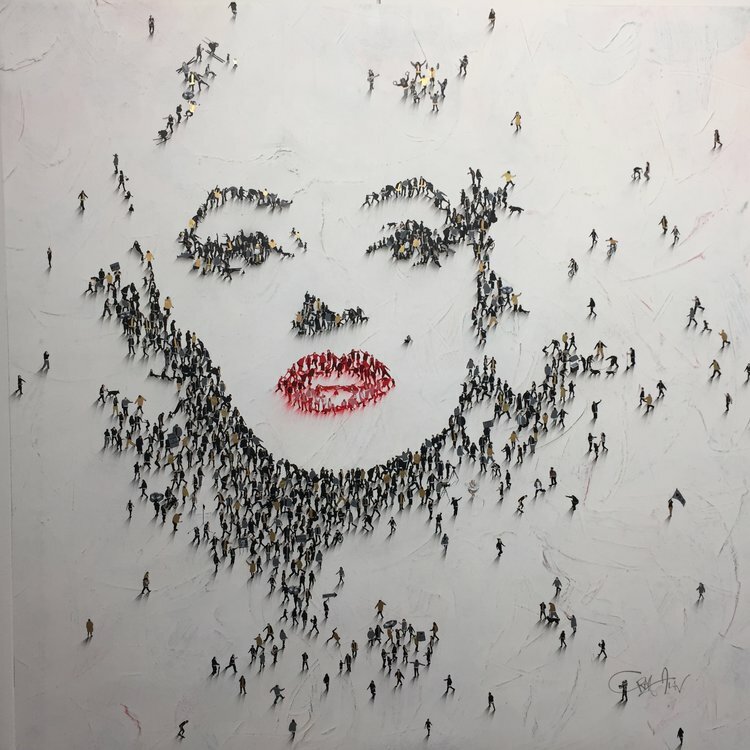 Since the epiphany, his Populus series is now home to dozens of celebrities and icons of all ages including: Marilyn Monroe; Elvis Presley; Frank Sinatra; Freddie Mercury; James Bond; Salvador Dali; Pablo Picasso; Van Gogh; Gandhi; James Dean; Lady Justice; John Lennon; Queen Elizabeth; Darth Vader; Michael Jackson; Audrey Hepburn; and many more.